The safe includes a flexible drawer system for comfortable storage of the medicines. 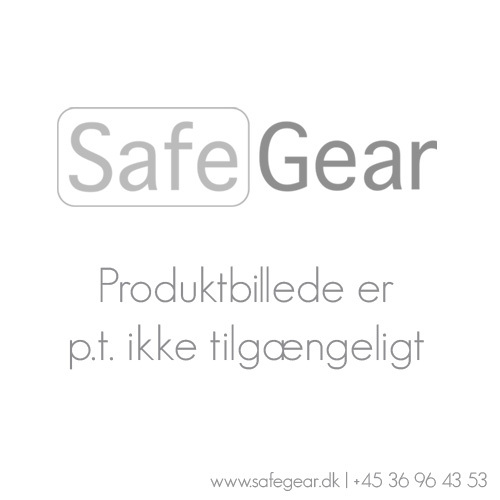 The door is secured with a multi-wall high-quality steel edging and powerful three-way bolts (Ø 25 mm). Walls and door are made to resist mechanical and thermal methods of burglary attacks. This model includes 1 shelf and 4 Alu cool drawers. Gemini Pro safes are produced in high quality for secure storage of medicines, research papers and laboratory equipment that need high protection against theft. The series are made in a streamlined design which will fit beautifully in pharmaceutical companies, hospitals, laboratories, pharmacies and other medical centers, also in some cases this kind of safe is suitable for homes. For an easy handle and storage of the medicines, Gemini Pro includes a flexible drawer system. The drawers can be structured individually and amended in height. Gemini Pro safe is tested according to the European standard EN1143-1 in Grade 1 by VdS, also it fulfills the requirements and rules given by § 15 of the German law of narcotics (BtmG). This test class secures high protection of your medicines. Gemini Pro is manufactured in solid high quality steel with a multi-walled body construction and the door is 135mm. This thickness secures optimal protection against theft. The door is placed with heavy three-sided bolts (Ø 25mm) which are functioning as an extra enhancement of security protection. The door has external hinges and can be opened by 180°, which ensures easy access to your medicines. Walls and door are made to resist mechanical and thermal methods of burglary attacks including a special barrier to withstand hammer, chisel, drill and cutting attachments. It is prepared with the necessary holes to be bolted to the floor, it includes a certified anchoring material. Double-bit high-security key lock with two keys (120 mm long). The door handle is 62 mm. Both locks are insurance approved and the safe comes with extending armor lock. Gemini Pro is available with the perfect shelfs for the medicine storage. For an easy and comfortable interior organization, you can find single parts of the interior. The color of the safe is RAL 7024 (Grey graphite). Can be delivered in RAL 7035 (Light Grey).